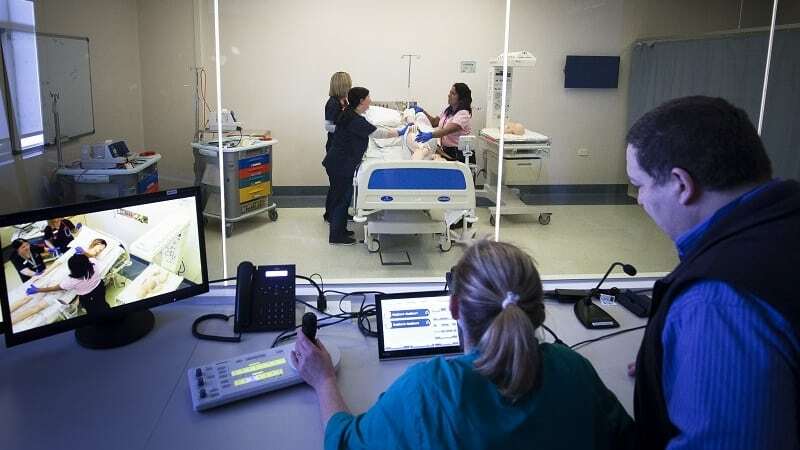 Northern Health, together with Victorian Simulation Alliance (VSA) held the Inaugural Simulation Conference 2018 last week at Northern Centre for Health Education and Research (NCHER). Under the Alliance, Innovation and Inquiry motto, this year’s conference focused on supporting the simulation community. Over 30 different simulation-related research articles were presented, covering multidisciplinary health topics and focusing on how simulation can be used to enhance patient outcomes. Dr Alison Dwyer, Chief Medical Officer says that Northern Health is committed to providing outstanding care for the community in the north, which can only be achieved by supporting the clinicians to maintain and grow their clinical skills. “This simulation conference is an outstanding example of cutting edge teaching philosophies, of which Northern Health will continue to support into the future. Congratulations to Todd Mason, as part of the Conference Organising Committee, and the Research and Education Unit on hosting a successful conference,” she said. Northern Health’s research is built upon innovative service delivery underpinned by excellence in education, as we create a culture for health that is based on the growing need for innovative and progressive care.